If you’re looking for a bottle with a lower price tag than metal or glass, but want something rugged and durable, a Tritan bottle will fit the bill! 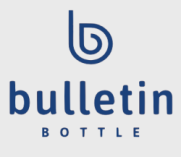 Custom Tritan water bottles are quite popular, and Bulletin Bottle [.com] has cultivated a large, hand-picked selection of them. From clear to translucent, opaque to metallic, we have custom Tritan water bottles in virtually every color and lid style. This means that no matter what your organization’s branding, we can likely find a water bottle that blends perfectly with your project. Many of our Tritan bottles are even made in the USA! For those unfamiliar, Tritan is a copolyester developed by Eastman Chemical Company in 2007 (click to read more about the history of Tritan). Each Tritan bottle on our site is shatter-resistant, stain-proof, and odor resistant. Custom Tritan water bottles are even dishwasher safe (but to preserve the imprint, we still recommend hand-washing them). Tritan Water Bottles: Spout or No Spout?